All the nuts have different nutrition and thus offer different health benefits. Nuts are considered the second best option in the food world. They are often ignored in the light of being fattening despite the fact that they are super tasty and nutritious. 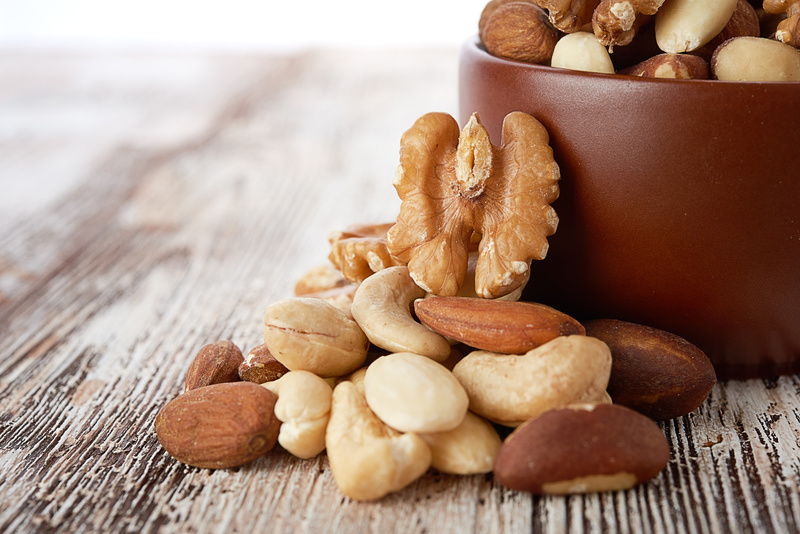 This post will tell you everything you want to know about nuts and why should you have them. Let’s answer the myths about nuts first and then take you through the benefits. People often say they are harmful to the heart while research says people who include nuts in their daily diet and less vulnerable to heart diseases. Nuts are loaded with fibers, minerals and vitamins and consist of substances that help in the most efficient functioning of the body. They make you gain weight- studies say people who consume nuts on a regular basis are more likely to have a healthy BMI when compared to individuals who do not. If you think they are merely an unhealthy and fattening fat, then you are mistaken. Research also says that nuts are good for the body, and they increase the overall life expectancy of the person. Which Diseases are they beneficial against- the list is surprisingly long. Why are people so allergic to nuts? There needs to be faith in benefits of nuts, but the extensive research is being done on the nut allergies and how it can be prevented in the early years of development. Whether it is nuts or their butter it offers health benefit throughout the life. As salad dressing: Nuts are not as big as you think on calories. Simply, sprinkle them on the salad and you are set. Peanut Butter Sandwich: Though they have high-calorie content, if you lead a healthy lifestyle then you would not gain weight. A trail mix of nuts matches different kinds of snacks and other confectionaries in a bowl as an evening snack. Salted ad Roasted: Roast a few nuts and sprinkle some salt to taste to enjoy this healthy snack. Sweetened: Nuts and chocolates are great together. Which Nuts Can You Enjoy? Enjoy these nuts and make them a part of your daily diet. Is Pregnancy Glow for Real?